A Week Later, Still Too Close To Call In Virginia : It's All Politics It's about as close as it gets in Virginia's election for attorney general — just 17 votes separate Republican state Sen. Mark Obenshain and Democratic state Sen. Mark Herring out of more than 2.2 million cast. State Sen. Mark Obenshain speaks at the Virginia Republican convention in Richmond on May 18. He currently holds a 17-vote lead over Democratic state Sen. Mark Herring in the state's attorney general election. There's still one election yet to be decided from last Tuesday: the Virginia attorney general's race. The latest figures released Sunday night show it's about as close as it gets: Republican state Sen. Mark Obenshain leads Democratic state Sen. Mark Herring by just 17 votes out of more than 2.2 million cast. The results have been constantly fluctuating since the polls closed the night of Nov. 5, as canvassers continue to count provisional ballots and identify errors in areas around the state. 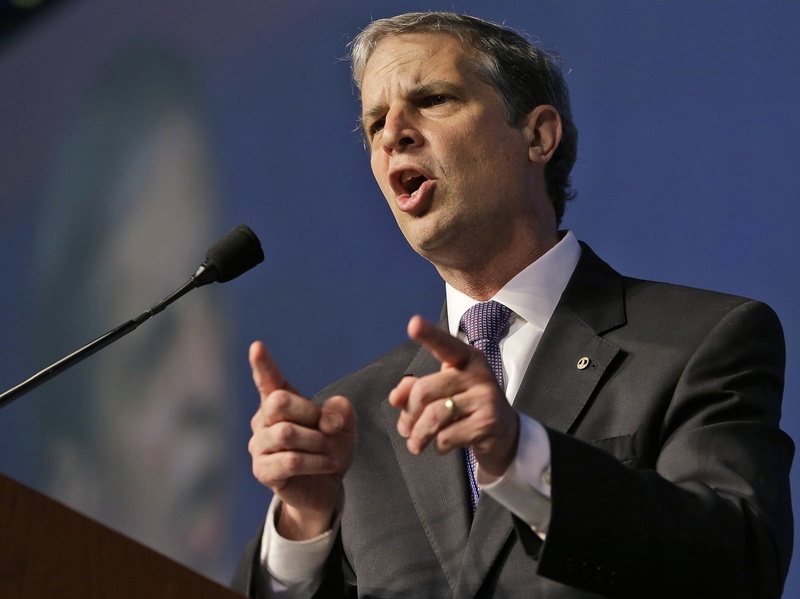 At one point last week, Obenshain led by as many as 1,200 votes. Local election boards must submit their final vote tallies by midnight Tuesday. With the race this close, a recount appears inevitable. If the difference between the two candidates is 1 percent of the vote or less after the Virginia State Board of Elections officially certifies the results on Nov. 25, the second-place candidate may request a recount, meaning the winner most likely wouldn't be determined until well into December. Whoever comes out on top in what could go down as one of the closest statewide elections ever will replace outgoing Republican Attorney General Ken Cuccinelli, who lost a tight race of his own last week to Democrat Terry McAuliffe in the state's gubernatorial election. McAuliffe won 48 percent to 45 percent. The Democrats also won the lieutenant governor's race in Virginia, as state Sen. Ralph Northam, a neurologist, defeated minister E.W. Jackson by more than 10 percentage points.